INDUSTRY.co.id - Jakarta - Directorate General (DG) of Mineral and Coal Ministry of Energy and Mineral Resources (ESDM) delivered Minerba achievement in the first half of 2017 of 56 percent or Rp18.27 trillion. Director General of Minerals and Coal Bambang Gatot Aryono in Jakarta, Wednesday (9/8/2017) said that state revenue from Minerba sub-sector in the first half of 2017 has reached 56 percent (Rp 18.27 trillion) of target Rp32.4 trillion End of 2017. This achievement continued Bambang is an increase in compliance payments corporate liabilities. "The state revenue is targeted Rp32, 4 trilun, we have finished Rp18, 27 trillion in June, if it is now about Rp21 trillion or per day is 65 percent.In the realization of 2016 was Rp7, 21 trillion," said Bambang. 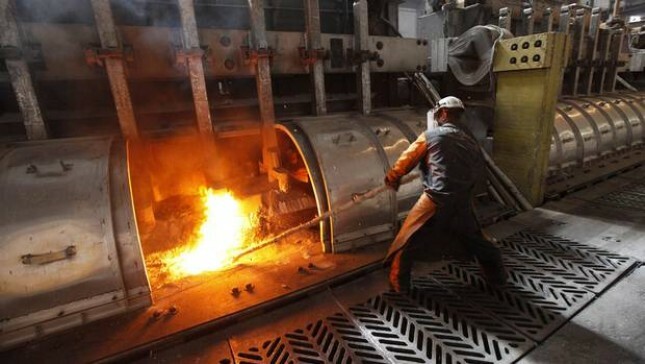 In addition to state revenue, Bambang also explained the achievements of smelter and processing facilities. "Currently, the smelter development has reached 50 percent of the 2017 target, which is two units per year where the target is four units per year, 2017 target is different from the 2016 target. In the remaining two smelter targets in 2016 will be completed in 2017, and will still be counted as Performance for 2016," said Bambang. The investment achievement of mineral and coal sector until the first semester of 2017 reached only 2.5 billion US dollars or 36 percent of the target until the end of the year amounted to 6.9 billion US dollars. "The realization of investment in 2017 will increase after the Contract of Work (COW), Coal Mining Concession Working Agreement (PKP2B) completed its obligations, especially if Freeport is completed will be extra extra investment," said Bambang. Furthermore, for reclamation, from the target of 6,800 hectares (ha), reached 28 percent ie 1,921 ha Bambang explained that the reclamation trend is usually completed by the end of the second semester. "It's a J curve, so the end will finish sharply," said Bambang. Landmark mineral and coal management is currently oriented towards the prosperity of the people, among others to increase state revenues, create jobs for the people of Indonesia, foster regional and national economies, create a conducive investment climate, and ensure divestment reach 51 percent.